We tend to think of furniture as being pretty straightforward — dressers store our clothes, tables hold up our food. But soon, thanks to a new wave of “smart” furniture, these formerly standard items may have a higher purpose. At the front of this movement is the furniture company Ikea, which just released a new line of furniture with charging pads built right in. Simply place your device on top of the plus sign located on the piece, and your phone starts charging up, same as if you’d plugged it into the wall. The pieces, including a table and a desk, are completely wireless, which means no more hunting for a cord when your phone dwindles down to 3 percent. 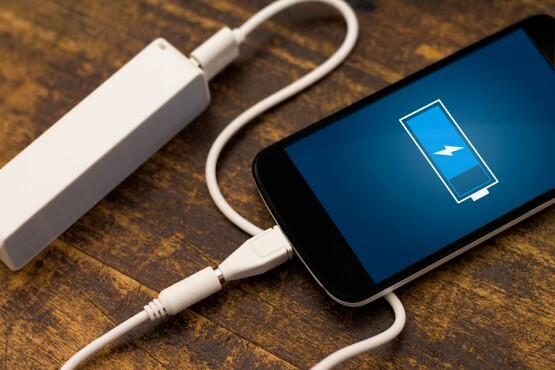 Unfortunately, there are still a lot of devices that don’t have wireless charging built in, like the iPhone, so it may be a while before you swap out your nightstand for a new one. However, many analysts predict that this is the next wave in multi-functional technology. Do you think that smart furniture could be the next big thing? Vote and share your thoughts in the comments! I think it a great idea because it help save your power when your phone’s charging. I think that the smart phone will help people a lot i think that it is the Next Big Thing. Some people need to charge their phone if they lost it or do not have their charger. I think that the smart phone will help people a lot i think that it is the Next Big Thing. I think that it is the next big thing because some people need their phone charged and if they lose their charger to charge their phone. I think this might be the best idea because when it charging it saves your power more time then usual.